A roaming hospitality space positioning the brand as a market leader. For over 20 years, Beyond the Bean have built solid and sustainable relationships with their customers by delivering great products to make coffee and great ingredients to enhance it. Exporting to over 50 countries, they are the leading supplier to the café bar industry, and have been voted the ‘Best Food and Non-Coffee Supplier in Europe’ at the prestigious Allegra awards two years running. 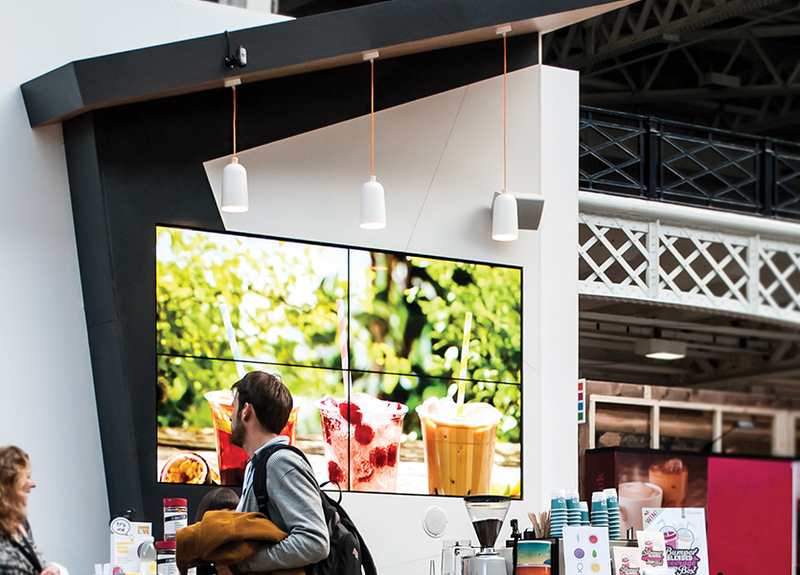 Our five-year relationship started with a stand design and exhibition kit to showcase their products and create a strong brand presence at their two flagship shows, Café Culture in London and World of Coffee in Rimini. We have been partnering with Beyond The Bean at coffee fairs around the world ever since. Historically, the design of the stand had been either corporate or a series of alternating themed looks. We work with Beyond the Bean to deliver a consistent look that is professional, but which also portrays the brand's sense of fun and personality. Additionally, by designing a modular kit, we were able to offer flexibility for optimised spatial design, utilising the same kit of parts, thereby reducing the need for new build elements and providing a brand experience for their customers every time. 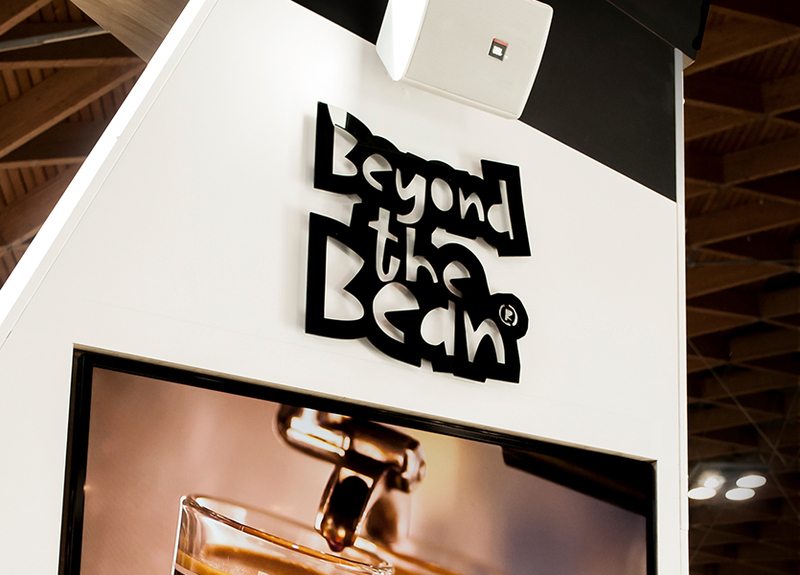 At a number of the events, Beyond the Bean bring their brand to life by incorporating experiences for their customers. These have included Barista challenges, a number of live demonstrations, which were captured using several Go Pro cameras and then played on a large seamless plasma walls, and even a DJ booth!